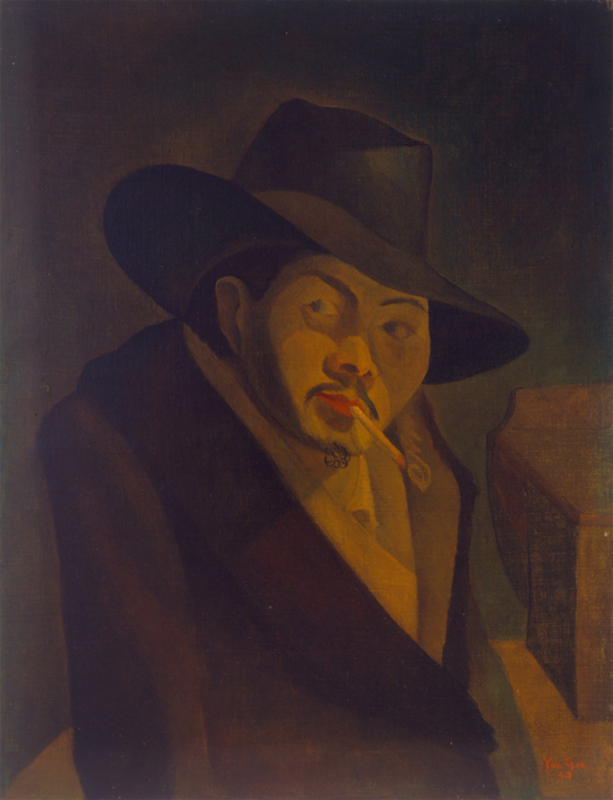 By the time Yun Gee moved to Paris in 1927 as a promising artist in his early 20s, he had already lived on two different continents and experienced emotional adversity. 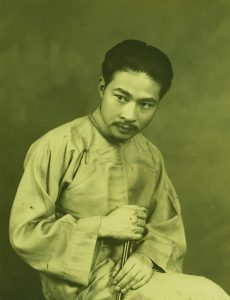 Born in 1906 in Kaiping in Guangdong Province to Gee Quong On and Wong See, he had moved to San Francisco at the age of fifteen in order to join his father, who was working there as a merchant. 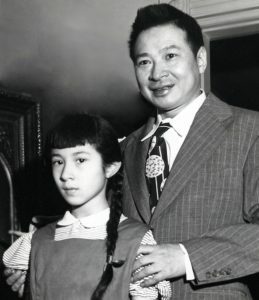 However, due to the United States' Asian Exclusion Act, which prohibited Asian women from legal immigration at the time, Gee’s mother was not able to follow suit. It would prove more than a mere temporary separation, as Gee would never see her again. 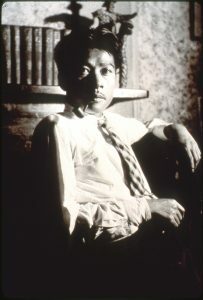 Yun Gee's art career was closely related to his personal life experiences. 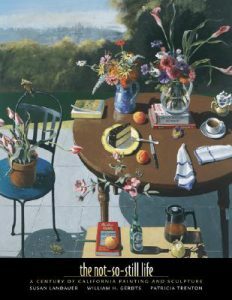 His social and political involvement, together with his relationships from the places he lived, made a great impact on the painterly style of his work. Continue . . .
Rather than follow a traditional Eastern aesthetic, Gee gravitated toward European modernism, especially Orphism – a derivation of Cubism coined by the French poet Guillaume Apollinaire. Continue . . .
Works in the exhibition by early- twentieth-century artist Yun Gee exemplify a patter of shifting attention among artistic currents in Asia, America, and Europe. Continue . 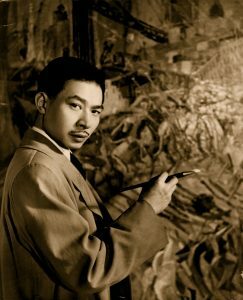 . .
[Yun Gee's] early artistic career showed promise, and he was accepted by the artistic circles in San Francisco, and later in Paris and New York. Continue . . . 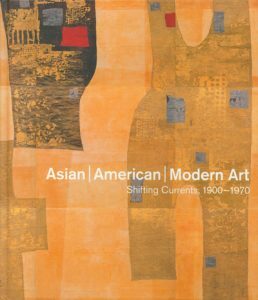 In the effort to determine possible features of an Asian American relationship to modernism (ways in which the various shared experiences of these communities we have decided to treat as one in this book may be reflected in the art), the life and work of Chinese American Yun Gee offers an excellent starting point. Continue . 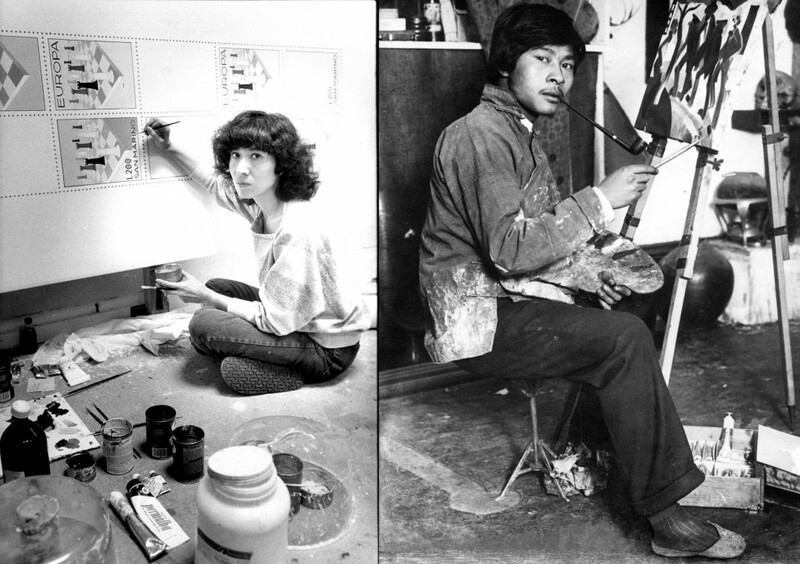 . .
Biracial artists like Maya Lin and Li-lan and transnational artists like Yun Gee may be burdened by the effects of racism and bigotry, but the perceptions they gain from their location in the "third space" may provide them with insights that strengthen their resolve and enrich their art practice. Continue . 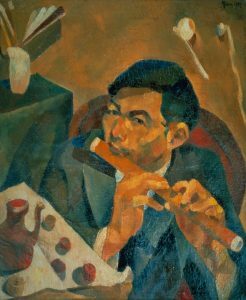 . .
A remarkable self-portrait, an oil painting called The Flute Player by Yun Gee, is an even more self-conscious expression of eclecticism and daring. Continue . . .
Who was Yun Gee? 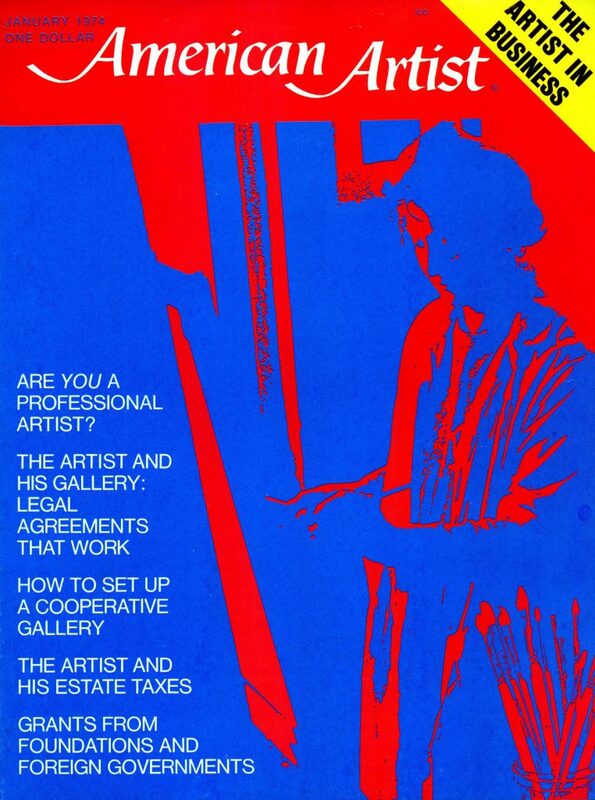 A painter, musician, dancer, teacher, theorist, inventor, and more. A poor immigrant with a wealth of creative ideas. 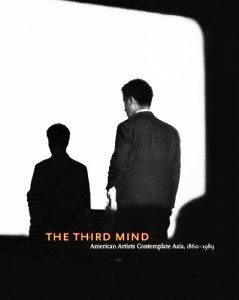 A solitary philosopher who actively promoted the arts. A dreamer whose personal vision and ambitions were thwarted by the political and social realities of his day. Continue . 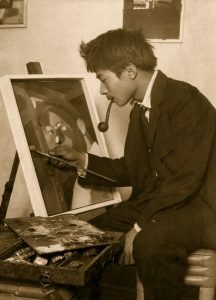 . .
One of Oldfield’s students was the talented young Chinese American Yun Gee, whose still lifes of 1926 and 1927 reflect the importance of color and rhythmic flow of forms. Continue . . . 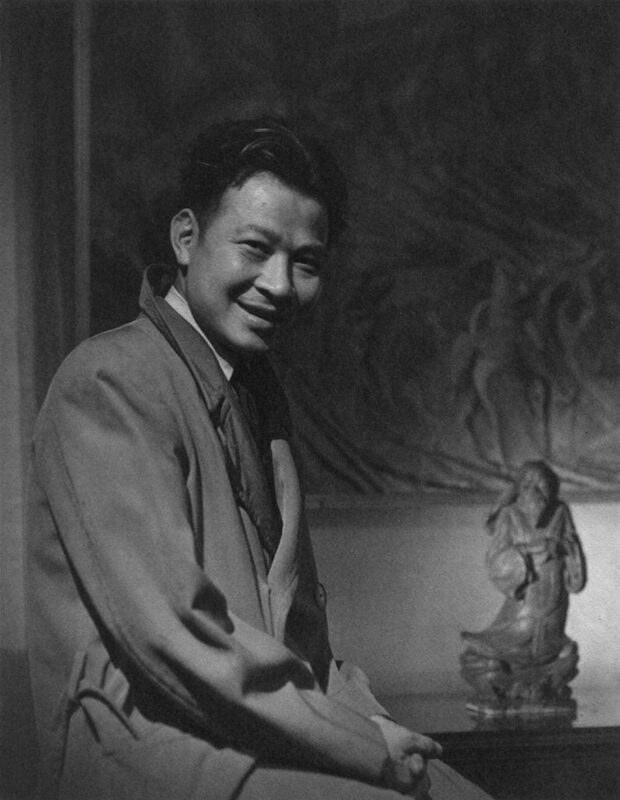 Among the most advanced modernist painters active in California during the 1920s, Yun Gee forged an international career that began in his native China, included two sojourns in Paris, and ended in New York City with his death in 1963. If in his poetry Gee wrote about the pleasures and pains of a simple material life, grand ideas that could be extracted from banal events, or the meanings that could possibly be construed during moments of hunger and poverty, he had ample experience with the subjects. Continue . . .
Perhaps I was ten years old, or even younger. I remember the quiet of his dimly lit studio. My father would sit at the dining room table, newspapers covering the worn surface, brush in hand, focusing all his attention on the paper in front of him. Only the shrill cries of his birds interrupted the silence. . . Continue . . . Among Asian-American modernists of note whose oeuvres visibly melded styles, techniques and sensibilities from the East and West was Yun Gee, who left southern China in 1921 to join his immigrant father, who had already settled in San Francisco. 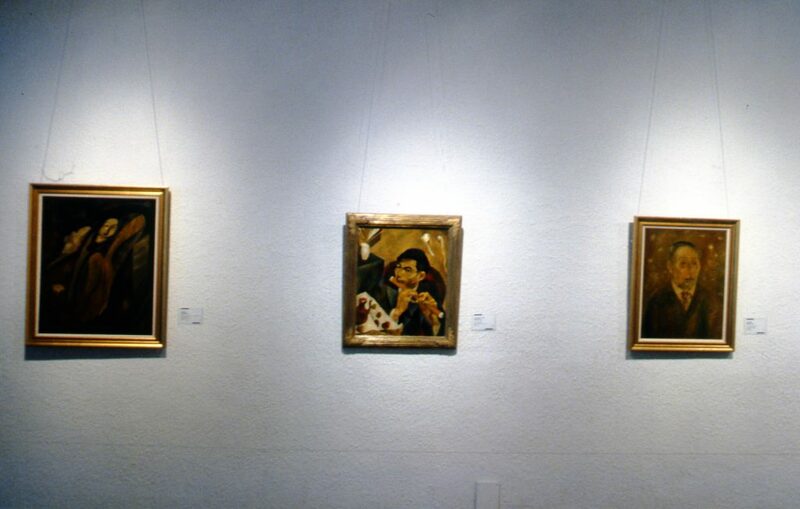 There, a lively art scene exposed Yun Gee to California Impressionism and other European-derived modernist styles. Continue . 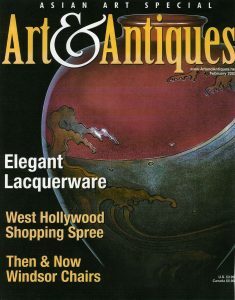 . .
San Francisco, Paris, and New York: Works by Yun Gee from 1926 – 1933 by Robert E. Harrist, Jr. 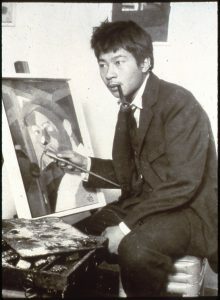 Many decades before a current generation of young Chinese artists living in the United States achieved international recognition, Yun Gee (1906 – 1963), a restlessly inventive painter, sculptor, poet, and performer born in Guangdong province, held one-man shows in San Francisco, exhibited in Paris galleries, and gave classes in “New Cubism” in his Greenwich Village apartment – all before reaching the age of thirty. Continue . 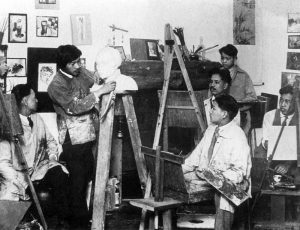 . .
We know very few details about a remarkable artists’ collective in 1920s Chinatown, the ambitiously named Chinese Revolutionary Artists’ Club. It has left little trace, though some important facts remain. The club was formed during an intensely anti-Chinese moment in San Francisco – just two years after the passage of the 1924 Immigration Act, the harshest legislation yet passed to exclude the Chinese from the United States. Continue . . .
One of the most prolific moments in American puppet theater was in the 1930s, in the midst of the Depression. 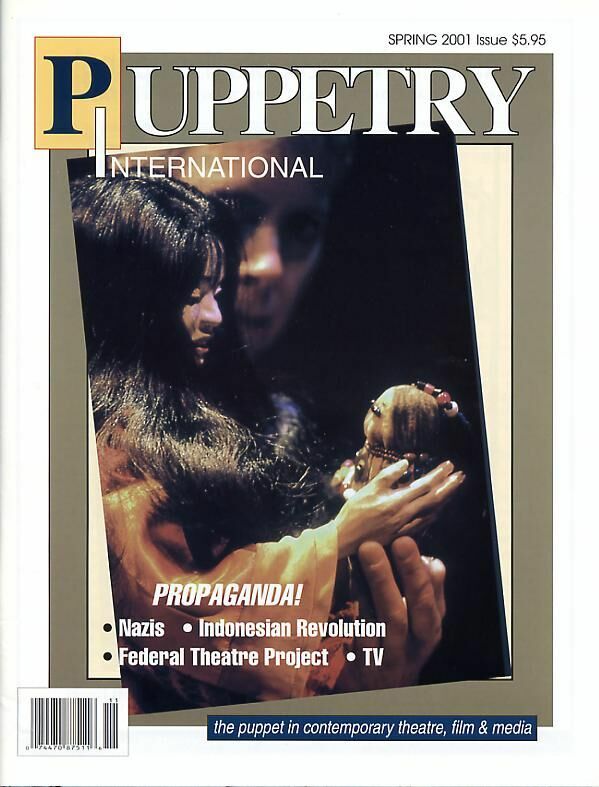 The federal government’s Works Project Administration (WPA) created the Federal Theater Project, one of whose important elements was a nationwide network of marionette units... Continue. 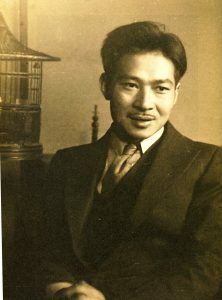 . .
Yun Gee (1906-63) was born during the waning days of the last Chinese empire. The revolution was ready to explode, and young intellectuals were ready to take up the fight to bring about a democratic system of government, freedom, equality, and brotherly love. The hotbed of revolution was none other than Yun Gee's birthplace, Guangdong Province. Every sincere painter tries to find an apt expression of his time, to communicate the view of his contemporaries, and to express their concern. 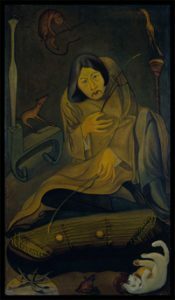 This is Yun Gee's believe which has been consistently embodied in his work throughout his life. 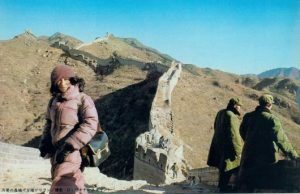 The art of Yun Gee not only delineates his versatile career, representing his enthusiastic response toward prevailing modern art trends, but also documents his contemplation of our times. Continue . . . 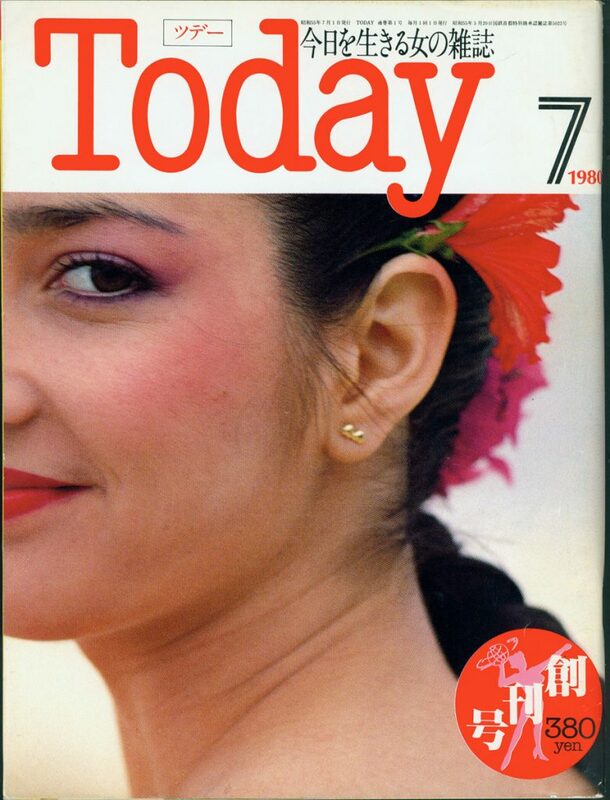 Ten years ago, when American ceramic artist Mrs. Camille Bilops was invited to give lectures on American Drama in Kaohsiung Normal College, she showed several slides of Yun Gee's paintings during a speech session introducing American Artists in New York City... Continue. 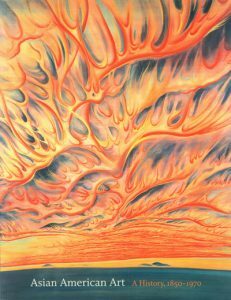 . .
As a small child, I saw stacks of paintings in his studio, piled high, turned in towards the walls. I often wished those paintings could move outside to take their place in a bigger world. Just as it would move my father, it moves me that his work is now being celebrated by his countrymen. Continue . 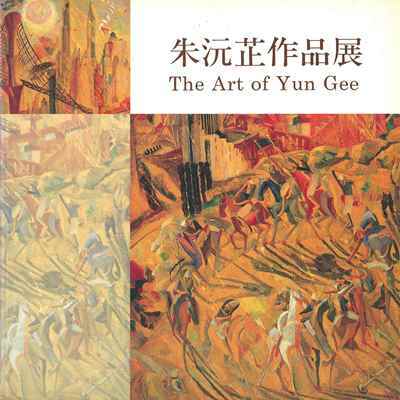 . .
Yun Gee belongs to the forefront of early twentieth century avant-garde American art. This exhibition highlights his work of the 1920s and early 1930s, the period when he definitely found his own way by pushing the modernist legacy of the School of Paris forward into deeply personal and strikingly poetical directions. Continue . . . 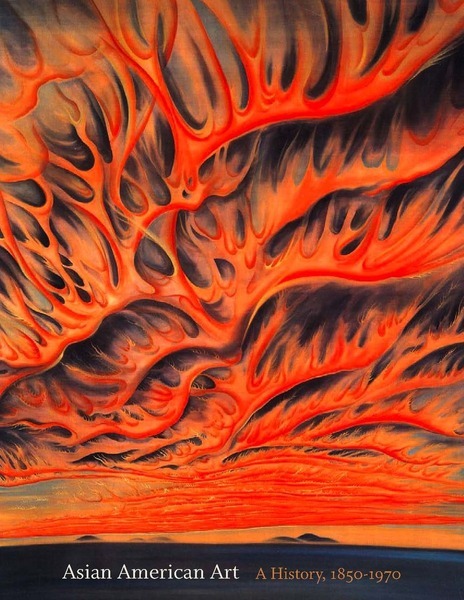 Trained in China, schooled in San Francisco of the 1920s, galvanized by Paris of the 1920s and 1930s, Yun Gee's work suggests both personal discovery and acuity to the cultural terms of painting of the period. . . Continue . . . It was the early forties, and the world was at war. A young Chinese man sat in a Greenwich Village studio, philosophizing and dreaming with friends. Canaries, nightingales, and skylarks sang in birdcages. A candle flickered next to a human skull. . . Continue . . . 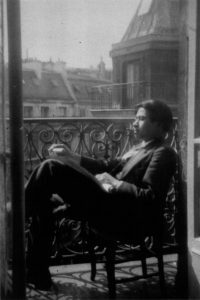 In the 1920s when Yun Gee was alive and well and living in Paris, fame, even fortune, seemed certain. 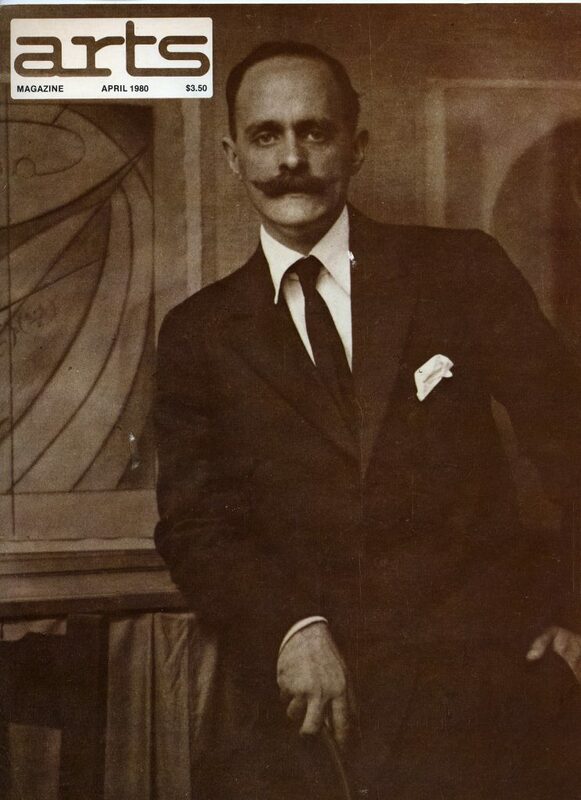 At 22 he had already had three one-man shows including one at the prestigious Bernheim-Jeune Gallery; he was married to a well-known poet, Paule de Reuss; and he hobnobbed with such luminaries of the Paris scene as Gertrude Stein, Andre Lhote, and Paul Guillaume. Seated before us is the painter. He is plucking the strings of a “yungkum,” (Chinese mandolin), with a bamboo shoot. Beside him are his only friends. . . Continue . . .